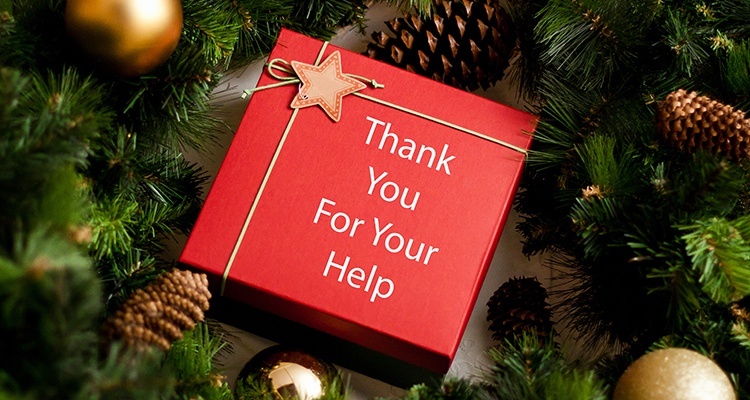 Why Employee Recognition is not just for Christmas…. For most employers the Christmas season is an opportunity to do a little something extra for your team. Initiatives such as staff Christmas events are a great way of building rapport between team members as well as, essentially, having a bit of fun. Furthermore, there are some good examples of employers that make the most of these events to incorporate employee recognition initiatives - from hosting an employee awards ceremony at the Christmas party, to taking advantage of down-time to offer staff more flexible working arrangements over the Christmas period. Yet, whilst Christmas initiatives should be applauded, employers should remember to reward and recognise their employees’ efforts throughout the year to maximise their engagement and motivation in the workplace. In fact, many employers aren’t doing enough year-round. A recent article in the Harvard Business Review, for example, referred to employees reporting an average of 50 days since they last felt recognised at work. By embedding a culture of recognition into the workplace you can ensure staff continue to be motivated and engaged resulting in greater organisational output. A good example of many employer attitudes towards reward and recognition is the Christmas bonus pot. Anecdotally, we hear about a lot of businesses whose Christmas bonus pool is many times the size of their annual employee recognition budget. This isn’t particularly surprising. In some sectors bonus pools can be huge (the average worker in financial services and insurance took home £15,000 each during the last financial year). Clearly, Christmas bonuses are hugely popular and an effective way of attracting and retaining staff. Yet, given that the industry average for reward and recognition spend is between 1% and 2% of payroll, it’s worth considering that carving out just a small section of your bonus pool to spend on employee recognition and development can have a significant impact on engagement and motivation in the workplace. Let’s look at the evidence. We often refer clients to a McKinsey survey, which found that praise from management, leadership attention and having the opportunity to lead projects are more effective motivators than cash bonuses, pay rises or stock. That same survey also makes the point that “many financial rewards mainly generate short-term boosts of energy, which can have damaging unintended consequences”. These consequences include an emphasis on short-term, rather than long-term performance. Moreover, unlike employee recognition initiatives, end of year financial bonuses are often solely linked to performance. Recognition awards, on the other hand, focus heavily on things such as effort, enthusiasm and softer value-based attributes. This means that day-to-day recognition can have a much greater impact on your company culture than the annual bonus. The other point about many Christmas employee initiatives is that they tend to be team based. Things like Christmas parties, team lunches and even award ceremonies can create memorable team moments, however, it’s also worth tailoring recognition activities to the individual. Awarding an employee something that is unique and special to them, perhaps an opportunity to train in a new area, or a day out with their family, can be more effective than a simple cash bonus or team event. The Head of Reward at a global accounting firm once said to me that, for his organisation, employee recognition was ‘all about the message’ and for me that sums up the importance of consistent year-round recognition. It’s crucial to send the message that you value and recognise their hard work throughout the year and not just at Christmas time. We have written an e-book to help organisations develop an effective employee recognition strategy (see below).